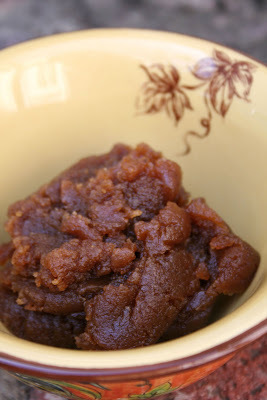 Here I made a Walnut-Miso Paste, just like I made that Sesame Sauce the other day. It turned out with a miso like paste. And I created a few different ways to use it. I added some dashi (soup stock) and made a cold noodle's dipping sauce. After I added the dashi, the color turned a whiter beige color. It didn't look like miso paste anymore! 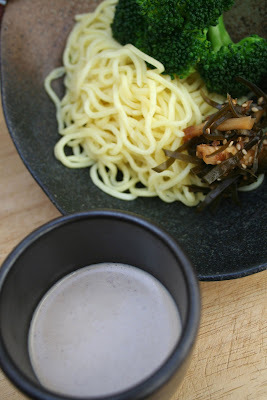 I used a egg noodle, but I believe that Soba or Udon noodle also go along with this sauce, too. 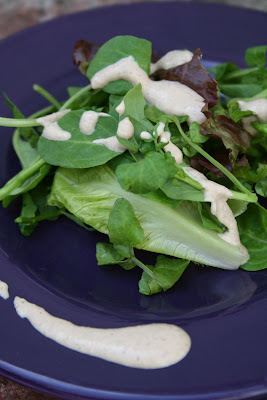 I also added dashi and little salt to make a dressing for leafy salad. 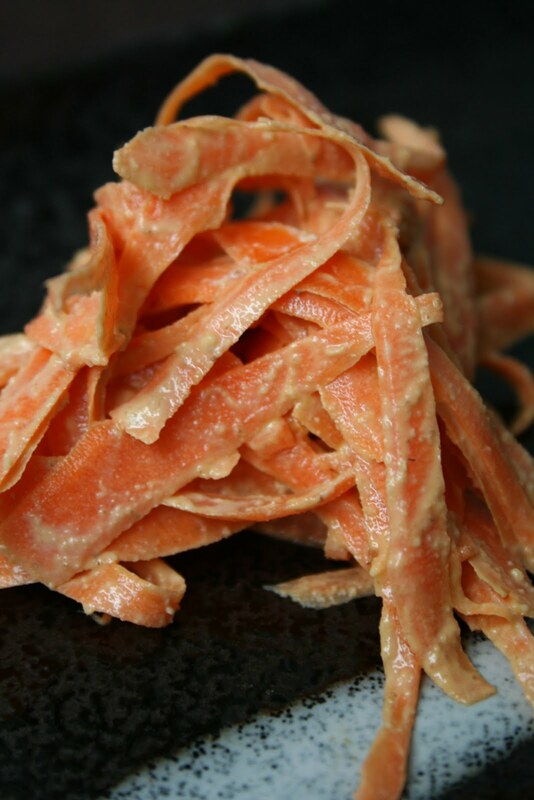 I tossed with peeled carrots. Beautiful! I might try this with pistachio.